Is there sufficient evidence to support an optimum time for the extraction of first permanent molars? To evaluate whether the literature contains evidence, of an appropriate quality, to support the fundamental belief that there is an “optimal time” for extraction of FPMs with a poor prognosis. A comprehensive search, limited to human studies, was performed using five databases. PICO based inclusion and exclusion criteria were employed to facilitate article selection. Three independent reviewers assessed the quality of included studies using STROBE and GRADE criteria. Initially, 56 articles were selected, of which 9 were included for final assessments. None of the included studies obtained moderate or high GRADE level rating and neither did they meet all of the STROBE requirements with only one study satisfying 95%, and another study satisfying 73%, of the requirements. The inter-observer agreement was excellent. There is no scientific evidence, of an appropriate quality, to support the “optimal time” for extraction of FPMs with a poor prognosis. Informed consent was not essential for this review. 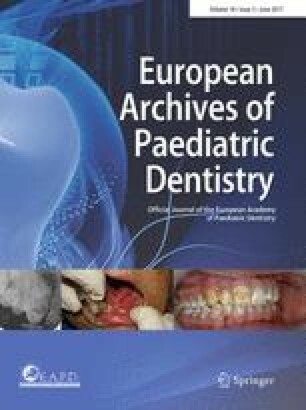 Cobourne MT, Williams A, Harrison M. A guideline for the extraction of first permanent molars in children. 2009. http://www.rcseng.ac.uk/fds/publications-clinical-guidelines/clinical_guidelines/documents/AGuidelinefortheEnforcedExtractionofFirstPermanentMolarsinChildrenrevMarch2009.pdf.